2018 brings a new year of our favourite holiday events, as well as some fresh new ones we think you'll all enjoy. 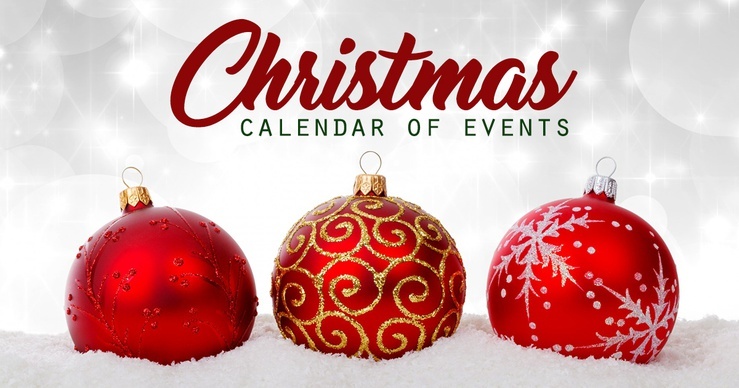 This blog is just a highlight of some hand-picked events, but for the FULL master list of all family-friendly happenings, visit our Calendar of Christmas Events on ChatterBlock. 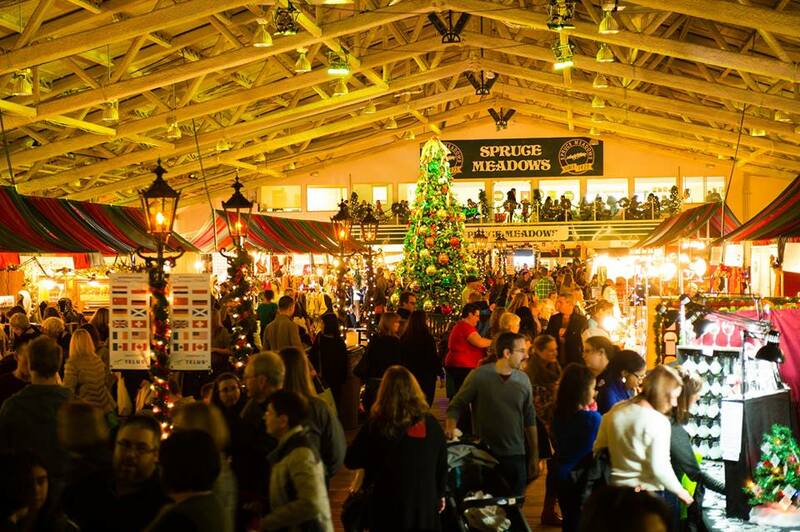 Plunge into the warm atmosphere that Christmas at Spruce Meadows evokes. It’s easy! You only have to visit the International Christmas Market once to discover a magical world of scents, colours and light and feel the energy associated with the anticipation of Christmas. Enjoy 250 plus vendors spreading Christmas Spirit. 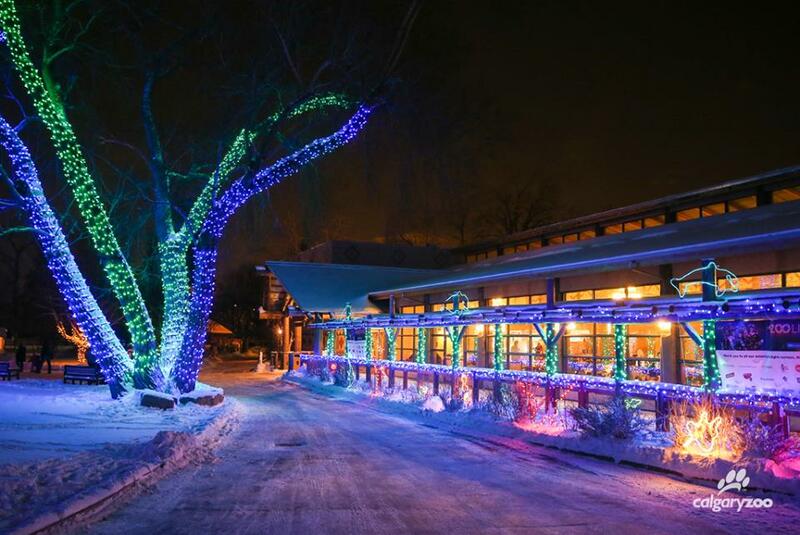 One of Calgary's favourite Holiday traditions is the annual ZOOLIGHTS event. See over 1.5 MILLION lights twisting around trees, animals, and flashing to music. New this year will be Ice Skating, Santa's Oasis, and the Singing Tree- a 16-foot voice activated tree of lights. Kids can also have fun in the newly rejuvenated Kids Zone. Dress warm, but the Zoo will bring the hot chocolate! 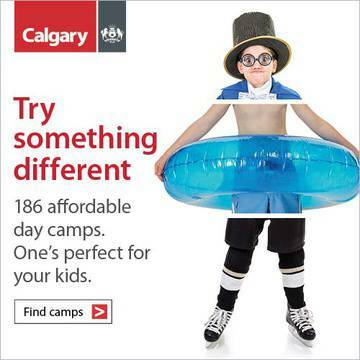 At the Calgary Zoo, click here to purchase tickets online. This Christmas, bring back the magic of the holiday season with the THE POLAR EXPRESS™ aboard the Aspen Crossing Railway! You and your family can share in the magic all over again, creating treasured memories for years to come! Set to the sounds of the motion picture soundtrack, passengers will relive the magic of the story as they are whisked away. 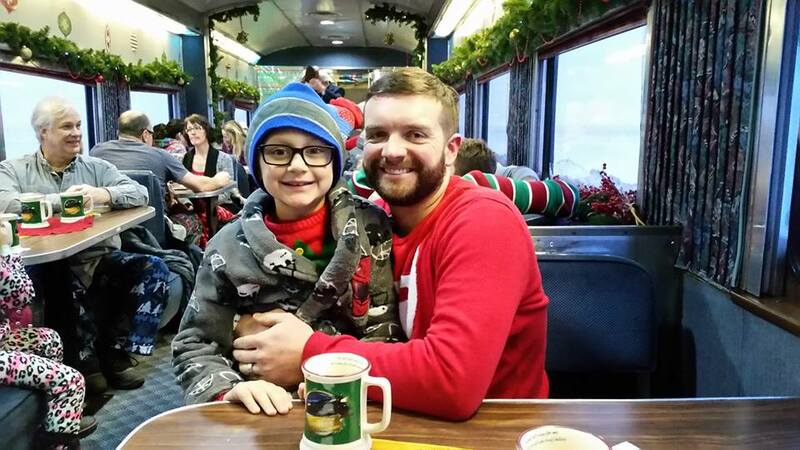 Once onboard, hot chocolate and treats are served as passengers read along with the classic children’s book, The Polar Express, by Chris Van Allsburg. Santa and his helpers greet passengers at the North Pole and then board the train, where each child is given the first gift of Christmas – a silver sleigh bell. Chefs aboard each car lead passengers in singing Christmas carols on the ride back to Aspen Crossing. Nov 23 - Dec 24 but dates and times vary, must book ahead. See website for details. 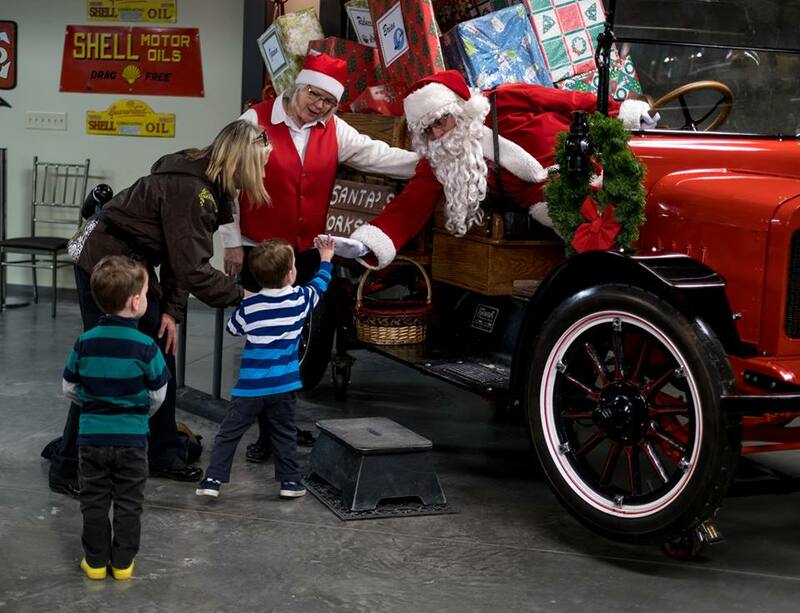 Take a step back into true holiday enchantment by going for a wagon ride, taking in live historical theatre, singing carols or visiting jolly old Saint Nick himself at the annual Once Upon a Christmas Event at Heritage Park! Experience the magic of Christmas with your little ones at this wonderful event! Nov 24 - Dec 23 on Saturdays & Sundays, from 9:30am- 4pm. November 25, 1pm - 3 pm. 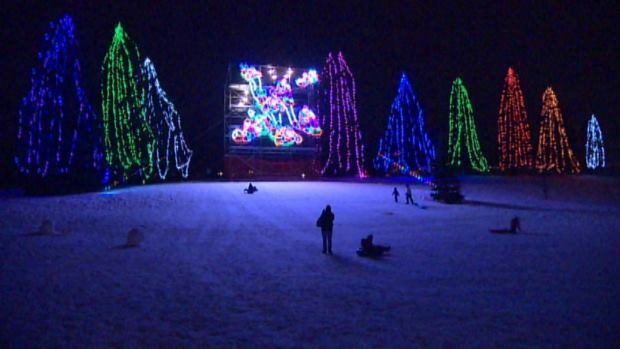 The Festival of Lights is the largest FREE drive-by Christmas Lights showcase in Calgary. It's comprised of over 300,000 lights along 14 th St NW.  Designed by James Alafriz, Creative Intelligence Agency. It is a collaborative effort that draws upon many volunteers, organizations and sponsors. Through it all, the Calgary and area Lions Clubs members and volunteers keeps things organized and on track. Light up is December 1 at 5pm! Then open nightly 6pm-midnight until January 8th, 2019. Along 14 th St NW. A fabulous event that offers good fun without breaking the bank! Admission by cash donation, hot chocolate for $2 per cup, train rides $2 each, kids 2 and under ride for free! Come see the dazzling lights, and make sure you check the website for special events, like the Santa Claus Parade, Santa visits, kids crafts, movies in the park, and more! The Airdrie Festival of Lights is on for the entire month of December. Run or walk as an individual, family team or corporate team in this years Santa Shuffle! There will be post event refreshments, awards and prizes too so stick around and chat with your friends and family! Saturday December 1st at 10am - 1 pm. This adaption of a classic, The Nutcracker, is just 30 minutes and perfectly suited for babies, toddlers and children 6 and under. All ages welcome! Set to Tchaikovsky's music, The Nutcracker Prince, Rat King, Snow Queen, Sugar Plum and all her friends make an appearance. Make Christmas crafts before the show. Waltz of the flowers interactive character dance and creativity workshop follow the performance. After the short "fuss-friendly" performance, children are invited to participate in dance and imaginative play with the dancers. With the annual Calgary Christmas Parades no longer running for a few years now, there are still parades a short drive away that you can enjoy! 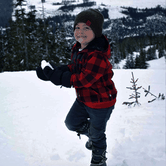 Learn more about them in our blog on Santa Claus Parades near Calgary. And remember, check out ChatterBlock's master list of Calgary Christmas events for even more holiday activities! We are adding to it daily.